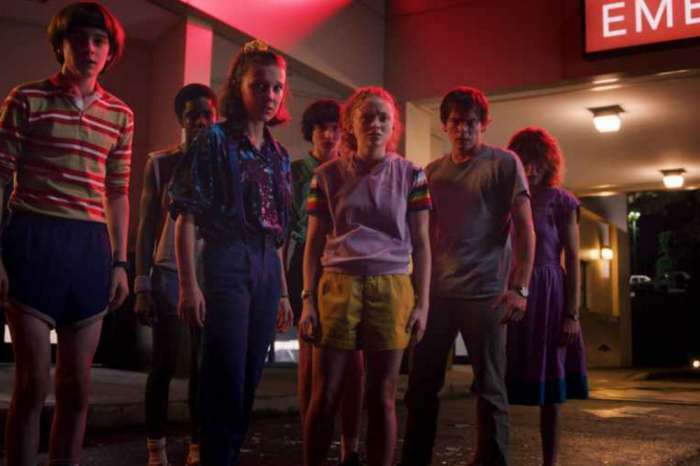 The cast and crew of Netflix’s Stranger Things are beginning their third season soon, and they’re coming back to the set knowing their wallets got a little thicker. In a report from Deadline, Wolfhard, Brown, Matarazzo, Schnapp, and McLaughlin, are all getting a significant pay increase. It isn’t just the children on the set either, David Harbour and Winona Ryder also got a raise. When the television show first started, each character got around $30,000 per episode, but now, it appears they get $200,000, a significant jump. Brown, who portrays the character, Eleven, got the most significant raise, sitting at $250,000 if the reports are correct. However, the adults on the show are still getting more, with Joyce Byers and Jim Hopper making around $300,000 to $350,000 per episode. Interestingly enough, one could wonder why the adults make more than the children; isn’t that ageism? When you think your girl is in The Upside Down AND mom takes away your toys. Moreover, some of the other cast and crew members including Natalie Dryer, Charlie Heaton, Nancy Wheeler, Jonathan Byers, are all making around $100,000 – $150,000. In addition to the jump in pay, fans are looking forward to the newest season, and it’s supposed introduction of a new character, played by the daughter of Uma Thurman and Ethan Hawke, Maya. The girl coming on to the set is supposed to play the “alternative girl,” Robin, and Priah Ferguson will also get a more significant role. Stranger Things was a massive success upon its release, taking home awards and jumpstarting the careers of its cast members, including Winona Ryder, who was a star in the late 1980’s and 1990’s but disappeared from the public’s eye for several years before finally making a return to the screen.